ROI: ASCLS offers many avenues to help members develop leadership skills that can be used in professional and personal lives. Member-only benefits include National and Regional Leadership Academies developed by leaders in ASCLS and free to ASCLS members (savings of a minimum of $180!) and opportunities to gain knowledge and experience through volunteer leadership positions. ROI: In 2007, the first class of the National Leadership Academy began their yearlong academic program of leadership topics. The purpose of the Leadership Academy is to prepare ASCLS members for current and future leadership roles in the Society. The ASCLS National Leadership Academy will be graduating their 9th class of Interns this year. There are now a number of opportunities to participate on the state, regional, and national levels. There are several different designs but they all have one thing in common; a strong program developed by current leaders in the Society. This is a wonderful benefit of membership in ASCLS as these programs are only available to ASCLS members. ROI: One of the greatest benefits of membership in ASCLS is the networking opportunity that comes with attending ASCLS conferences. These meetings bring top of the line speakers who share the latest scientific information for you to take back to your workplace. You have the opportunity to meet with these experts, ask questions one on one, and develop a working relationship that can benefit you in your career. This is how we, as scientists, grow in our knowledge and experience. We are a very special and specialized community and these meetings are our opportunity to share our successes, our concerns, our ideas, and most of all our friendships! It is impossible to place a dollar value on this intrinsic benefit but ask any long-time member of ASCLS and they will tell you that membership in ASCLS enriched their career and their personal life many times over. Read some of these stories (Why ASCLS) on the ASCLS Membership Matters Group. ROI: With CLEC approaching soon, ASCLS members receive discounted prices on ASCLS educational materials. Stop by and visit the ASCLS desk! ROI: ASCLS offers an excellent Certification Maintenance Membership for those individuals looking for help in obtaining the required CE for continued certification. ASCLS with MediaLab offer the Certification Maintenance – 12 hour option (CM12). The CM12 is a one year subscription with MediaLab, Inc. that includes designated discipline hours required for the Board of Certification (BOC) Certification Maintenance Program (CMP). With the CM12, each person will receive 12 hours of P.A.C.E.® approved online continuing education to be completed at any time before the end of the subscription year (July 31st). The CM12 subscription year follows the same cycle as the ASCLS membership year. When you renew your ASCLS membership, renew or purchase your CM12 subscription too. Maintaining your required continuing education hours has never been so easy. This special offer is available to ASCLS members for only $45! Additionally, there is a second option for unlimited CE, the CMU subscription that is $85 for ASCLS members. For more information go to http://www.ascls.org/continuing-education/certification-maintenance-ce-options or check out the attached document. This is an outstanding benefit for ASCLS members! ROI: There are many benefits to membership in ASCLS. 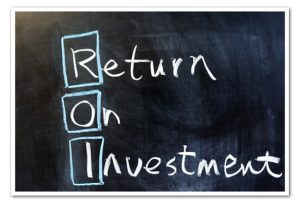 Have you wondered about your actual Return on Investment? This is a recurring question when talking with potential members. While ASCLS may not have communicated all the value we deliver to you, you can be assured that if you access all that is available to you, you will enjoy an excellent return on your membership investment. Student memberships cost $25/year which comes to an investment $0.07/day. Professional I membership is $99/year, equaling $0.27/day. If you attend one state meeting at the member rate you have saved more than the cost of a one year membership.